In research for my next book, I was looking for early 20th C magazines accepting fiction from unknowns. 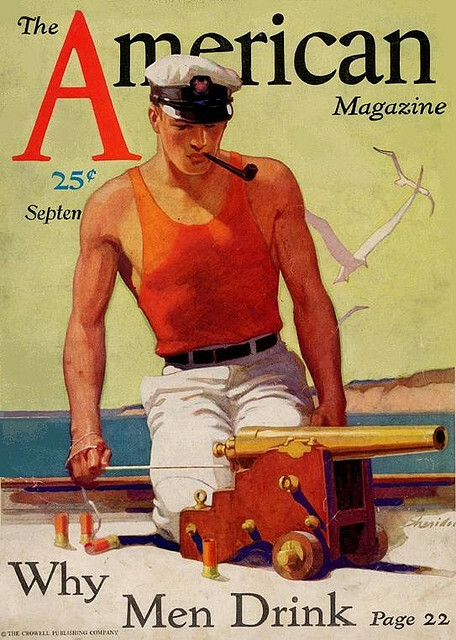 The American Magazine read submissions blind, and published many new writers along with some of the great writers of the day: Sherwood Anderson, Graham Greene, Arthur Conan Doyle, H.G. Wells, Upton Sinclair, etc. And they neatly answered vexing questions, like “Why men drink.” But alas, I can’t see page 22. Apparently it has to do with little cannons . . .